Sweet Dreams is very proud to have been recognized by our customers with their votes in our product and business ethics. 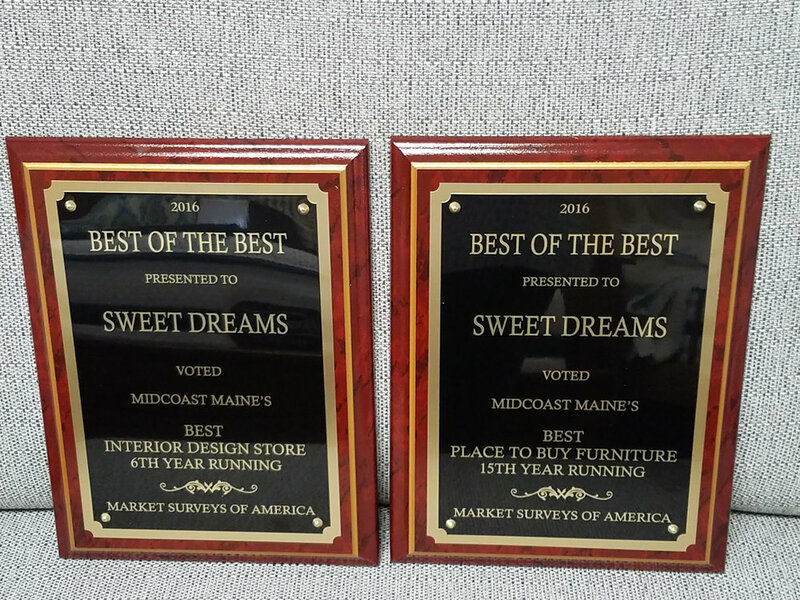 We have been voted "Mid Coast Maine's Best Place to Buy Furniture" for the last fifteen years running. Similarly, "Mid Coast Maine's Best Interior Design Store" for the last six years. This survey is conducted annually in the region and canvases votes across all manner and variety of business.